Acqua Di Parma Fruit and Flower Fragrance Candle Collection. Acqua Di Parma Fruit and Flower Candles are refined decorations, with their inspiration for both fragrance and decoration taken from the sea and from nature. Each Acqua Di Parma Fruit and Flower Candle is handmade with a non-drip wax that burns down to leave a hole large enough for a votive, so you can keep always keep this special candle. 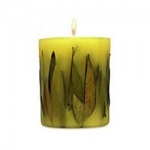 Acqua Di Parma Fruit and Flower Candles are refined decorations, taken from the sea and from nature. 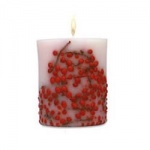 The Red Berries Candle is a beautiful candle with a rich precious wood scent. 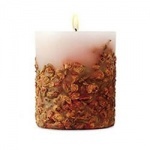 Acqua Di Parma Rosebud Fruit and Flower Candle is a delight to the senses and is fragranced with a beautiful rose bouquet and burns for around 60 hours.